Our goal is to transform ONE Million kilograms of food waste into fertile soil. One ZEA product at a time. Each item sold directly transforms 10 kilograms of food waste into fertile soil by funding food composting systems in schools, community gardens, low-income households or small businesses. That is enough to grow over 100 kilograms of fresh food! ZEA is the first social impact brand that exists for the sole purpose of funding urban agriculture and food security programs worldwide. We all enjoy a good meal. We like sharing it, preparing it, and sometimes even growing the food that goes into it. Food connects us. It connects our societies, our cultures and us to our environment. But today it is also the source of some of the biggest challenges the world has ever faced. Food is meant to feed bellies or the soil, not landfills! Hunger, soil erosion and climate change are all interconnected, so transforming food waste into fertile soil is an important step towards solving these challenges. The solution is right under our feet, its the soil. We believe that in order to transform our society we must first restore the composition of our soils. ZEA supports communities that are reclaiming urban spaces to grow fresh food right where they live. To do this they have to restore the soil and find efficient solutions to reduce and manage their food waste. 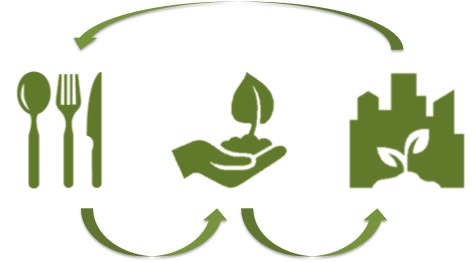 ZEA provides them with food composting systems such as worm farms, aerobic bins, fermentation systems (bokashi) or plug-and-play composting units depending on the needs of each user. We don't sell the systems, we fund the systems and deliver them to schools, community gardens, small businesses or low income households with the help of leading urban agriculture projects around the world. All through the sales of our high quality and responsibly manufactured apparel and durable goods. This campaign is about making a real impact. We want to transform of ONE MIllion Kilograms of food waste into fertile soil and we need your help to do that. The soil restored with this amount of food waste has the potential to grow TEN Million Kilograms of fresh food, right in our cities. Improve the health conditions of people living in so-called "food deserts"
With each of your pledges you will receive a variety of some of our high quality responsibly manufactured products while at the same time your support is directly funding food composting systems for schools, community gardens, low income households and small businesses that transform food waste into fertile soil. All you Rewards have shipping included around the world. Shipping of all Rewards will commence one month after the campaign has finalised. Once you select you Reward you will receive an email to choose the size and colour of your selected product. 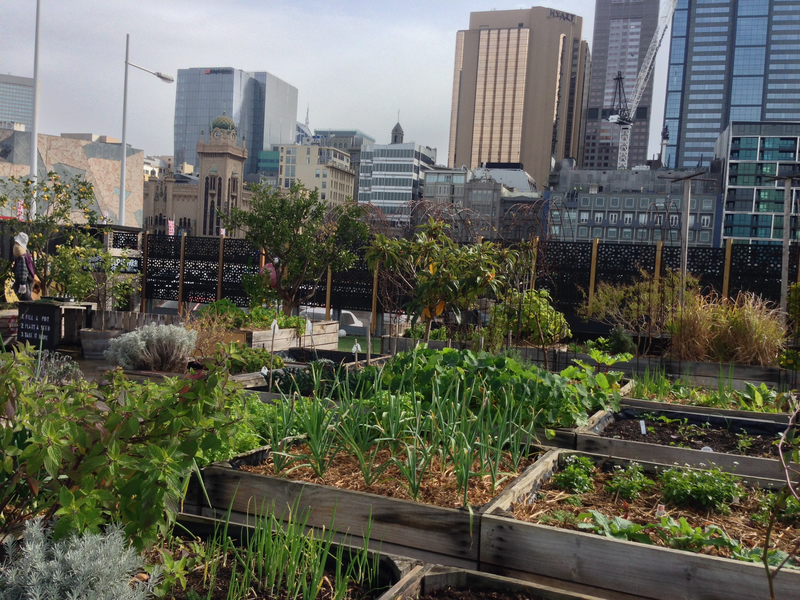 We have started working with urban agriculture projects across Mexico and Australia as well as having conversations with other projects around the world including food deserts in the United States and food security projects in East Timor. With this campaign we are aiming to consolidate the support to our existing projects and expand our support to at least 2-4 countries where urban agriculture is taking strong roots. ZEA has funded the improvement of its on-site composting system (aerobic composting) as well as worm-farms for local community and garden volunteers. In a city with over 20 Million people, every kilogram of food waste transformed into soil for local food production makes an enormous difference for the environment and the community. ZEA PROJECT IMPACT: 1,500 kilograms of food waste transformed into fertile soil each year. A 240L flow-through worm farm has been delivered to the Pop Up Patch in order to help them manage the food wast from the cafe and green waste from the garden. The worm farm can host 20,000 worms and transform over 700 kilograms of food waste a year with all the vermicompost returning back to the garden beds for local food production in the heart of Melbourne. 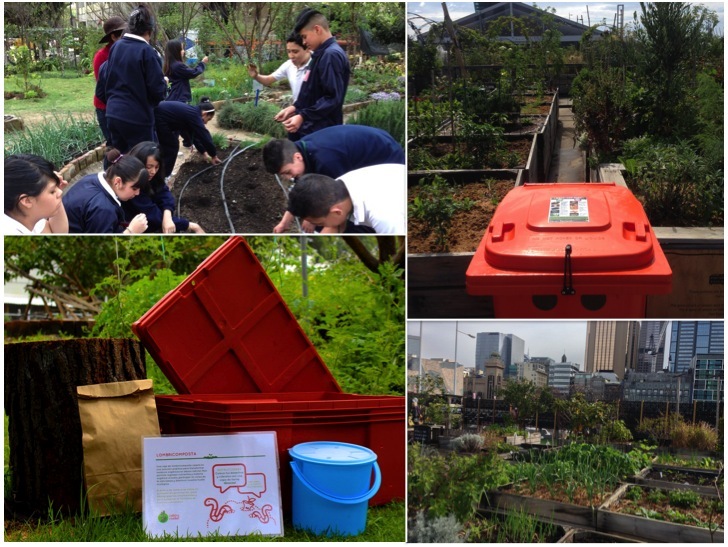 ZEA PROJECT IMPACT: 700 kilograms of food waste transformed into fertile soil each year. Select your reward and help to restore the fertility of our soils and grow fresh food directly in our cities. Thank you for helping us to SOW THE CHANGE we want to see in the world. The ZEA team has been working together in environmental and social projects for over 15 years including some of the largest climate change programs across Africa, Latin America and Australia. 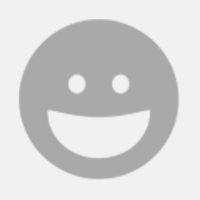 We could give you a description of our professional credentials but lets leave that to LinkedIn. We are passionate about this project because we deeply believe in the importance of reconnecting with and appreciating the origin of our food and that we can all contribute with every day actions to create a better world. Rodrigo Castellanos. Rodrigo basically loves compost. He can spend days and nights turning it and ensuring that his compost pile has the right temperature, humidity, diversity of elements and so on. He is often found in his urban garden with a black nose and pitch fork in his hand which can be slightly intimidating for some people but in general he just loves his garden and what it produces through out the seasons. Phil Cohn. He is our Head Sourdough-Bread Officer. Phil is passionate about yeast and the textures and consistency of well rested sourdough. Patience and timing are his trademarks that become evident in his incredible bread creations and the smell of freshly baked boule and battard loaves at his home. We should have put his secret recipe of pork shoulder buns in the campaign as a reward but it was way too special to give it a fair price. Manuel Rosemberg. If you had to chose a person with whom to get lost in the middle of the rainforest or in an inhospitable island Manuel is definitely your best and only choice. His love for the wilderness has taken him to the most incredible corners of the Earth under the harshest of conditions. Still he comes back every time unscratched (almost). He has seen what fertile and undisturbed soil truly looks like and the magic of that encounter has left its mark. Manuel has created the ultimate eco-trekking experience - The Copalita Trail. Our goal is to transform 1 Million kilograms of food waste into fertile soil while supporting urban agriculture projects around the world. Imagine that! That is enough to grow over 10 Million kilograms of fresh food, directly in our cities! 1) Continue the direct support to our existing urban agriculture partners and support at least 1 more urban agriculture project in each country (Mexico and Australia). 2) Expand our activities towards our school garden program with the aim of reaching at least 1,000 students this year in our current program countries. 3) Implement our communication strategy in the digital space, social media and online shop where early crowdfunding supporters will have special discounts. If we achieve this we will have the basic systems in place to continue our expansion towards our 1 Million kilograms goal. Remember that all our products use organic materials and eco-fabrics as well as support fair trade conditions for workers. Our ultimate goal for this campaign would be to reach over $25,000 in raised funds. This will 100% confirm that we are on the path to transform 1 Million Kilograms of Food Waste into Fertile Soil with firm orders to our suppliers and support for our urban agriculture partners. We want to expand our operations to at least another 2 countries where urban agriculture is starting to take root. We have several countries already identified and initial conversations in place with a key aim of working in "food desert" areas that are adversely impacting the social fabric and health of the community. In addition, to reach a $25k plus goal will send a clear and loud signal to ZEA partners and investors that our business model is sound and that people care for the Mission that we have set up to achieve. This will secure the funding we need to establish the partnerships required for offline retail sales with some key players in the retail industry that first want to see that our mission has the required support from you, the community. For US$18: 250 Grams of Arabica coffee beans in partnership with our great friends from WithOneBean. PRODUCT IMPACT: As with every ZEA branded product, this reward will transform 10 kilograms of food waste into fertile soil. 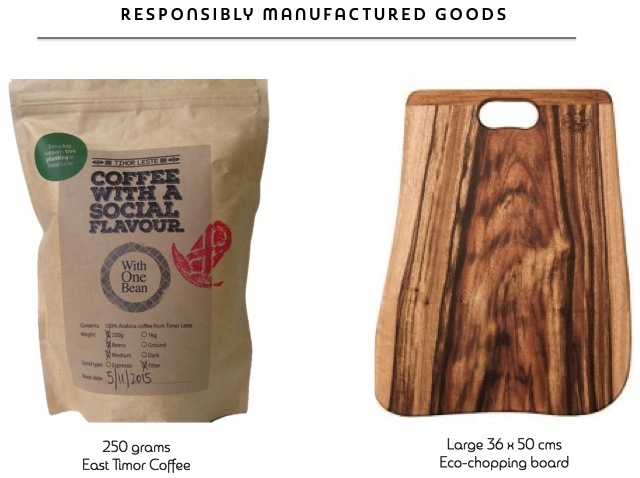 This reward has double impact by also supporting the reforestation program of WithOneBean in East Timor. No additional charge, shipping included. For US$25: Tote Bag with the ZEA Hungry Goods logo. 100% organic cotton PLUS 250 grams of arabica WithOneBean Coffee. PRODUCT IMPACT: 20 kilograms of food waste transformed into fertile soil. For US$35: The 70% Bamboo Viscose - 30% Organic cotton ZEA tee makes an incredible combination of softness, durability and style. Breathable and thermo regulating and kind to sensitive skin. Growing bamboo improves soil quality, helps rebuild eroded soil by its root system helping to absorb and capture carbon. Fair Trade Certification from FAIR Wear Foundation and Organic Certification by Global Organic Textile Standard (GOT). No additional charge, shipping included. 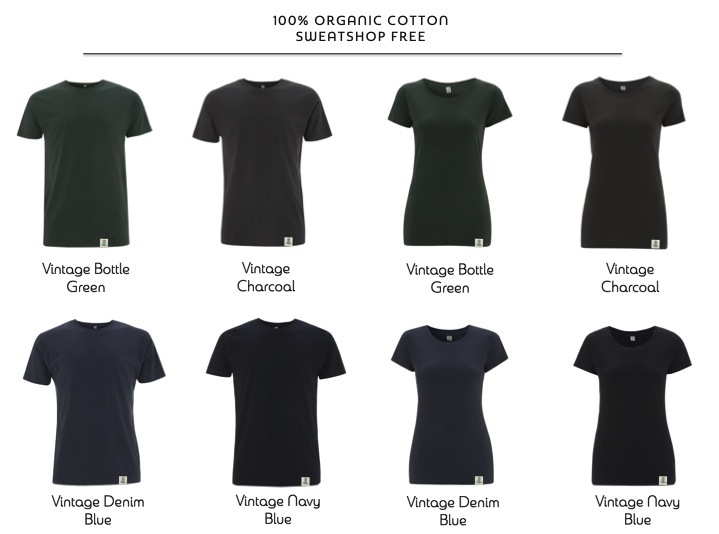 After selecting this reward you will receive a follow up email to select the size and colour of your tee. For US$35: The 70% Bamboo Viscose - 30% Organic cotton this female cut, ZEA tee makes an incredible combination of softness, durability and style. Breathable and thermo regulating and kind to sensitive skin. Growing bamboo improves soil quality, helps rebuild eroded soil by its root system helping to absorb and capture carbon. Fair Trade Certification from FAIR Wear Foundation and Organic Certification by Global Organic Textile Standard (GOT). For US$35: Nothing compares to the softness of organic cotton. 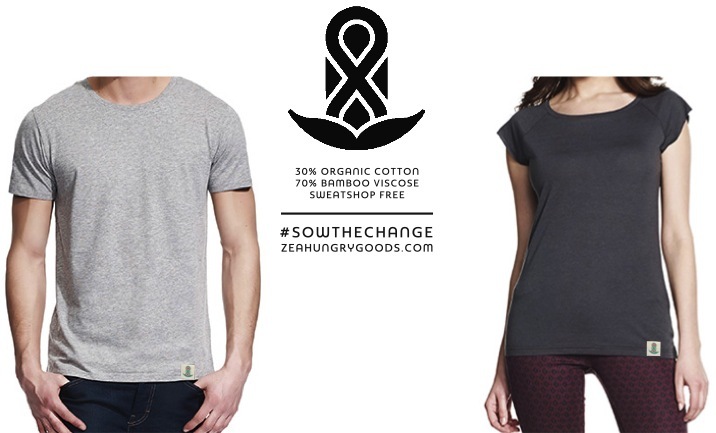 This ZEA classic crew neck tee will feel incredible and comes with third party Fair Trade Certification from FAIR Wear Foundation and Organic Certification from Global Organic Textile Standard (GOT). 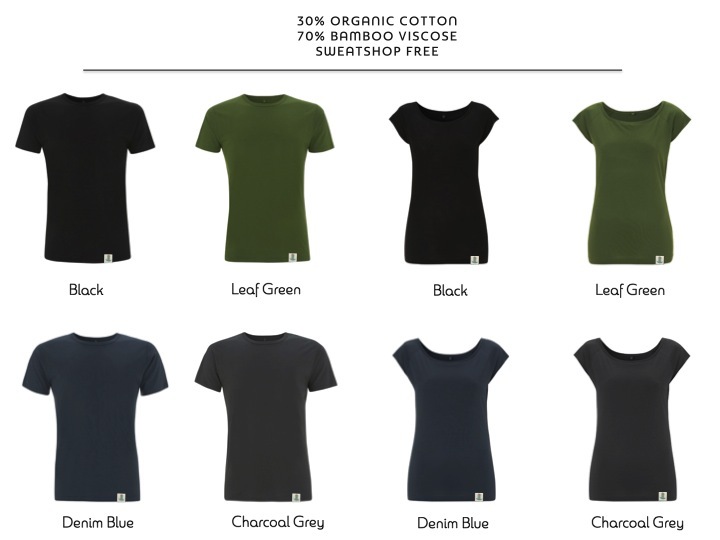 For US$35: Nothing compares to the softness of organic cotton. 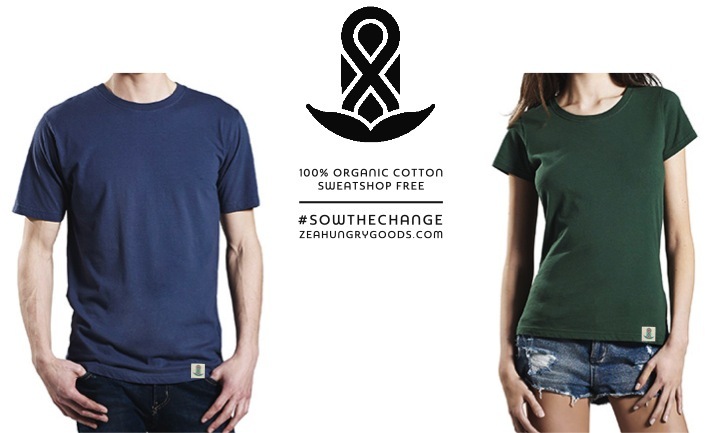 This ZEA classic crew neck tee with female cut, will feel incredible and comes with third party Fair Trade Certification from FAIR Wear Foundation and Organic Certification from Global Organic Textile Standard (GOT). For US$50: At 140 gsm (closer to a tee than a fleece fabric) this light pull over hoodie is perfect for spring - autumn or to layer up during winter. Made of 100% organic cotton this is an all round essential clothing item. Third party Fair Trade Certification from FAIR Wear Foundation and Organic Certification from Global Organic Textile Standard (GOT). No additional charge, shipping included. 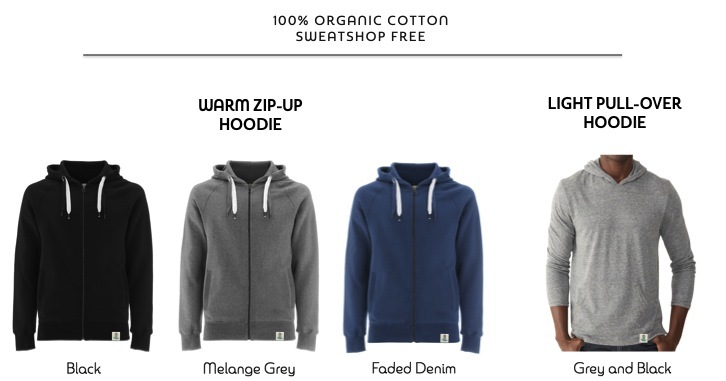 After selecting this reward you will receive a follow up email to select the size and colour of your hoodie. For US$70: At 280 gsm this zip up-hoodie feels incredibly soft and warm. Perfect for those windy, cold days. Made of 100% organic cotton this is an all round essential clothing item. Third party Fair Trade Certification from FAIR Wear Foundation and Organic Certification from Global Organic Textile Standard (GOT). For US$100: A chopping board is the ultimate ZEA battleground and the place where food waste should be generated instead of fridges or plates. This beautiful 36 X 50 cms board is made of Camphor Laurel which is removed from Australia because it is considered a weed in order to make way for native regeneration. PRODUCT IMPACT: 10 kilograms of food waste transformed into fertile soil. 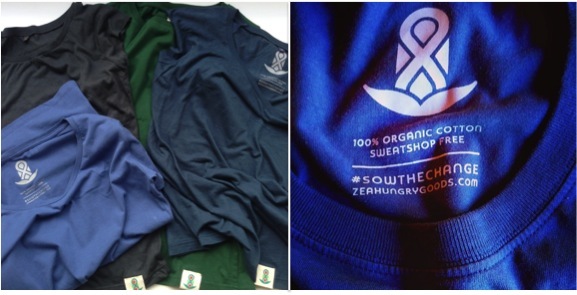 For US$200: 250 grams of East Timor Coffee + 1 ZEA Tote Bag + 1 x Organic Cotton Tee + 1 x Bamboo/Organic Cotton Tee + 1 x Organic Cotton Light Pull Over Hoodie + 1 x Organic Cotton Warm Zip-Up Hoodie. No additional charge, shipping included. After selecting this reward you will receive a follow up email to select the size and colour of your tees and hoodies.